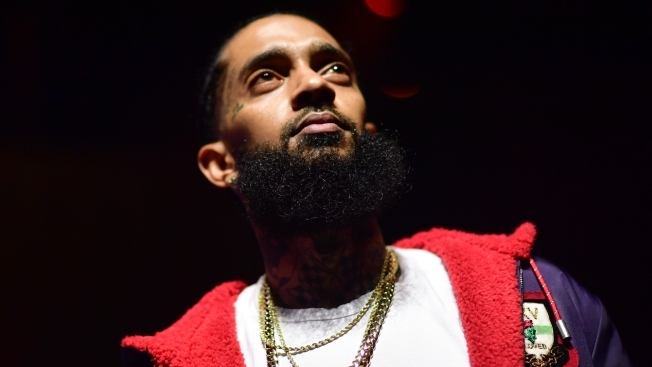 Nipsey Hussle passed suddenly on Sunday after he was shot outside his clothing store in South Los Angeles. Many stars reacted with grief and offered their condolences to the rapper's loved ones on social media. It was clear from the very beginning that rapper Nipsey Hussle was going to make it a priority to talk about investing in South Los Angeles. In what is perhaps his first on-camera interview, at the Russell Simmons' Get Your Money Right summit in 2006, Hussle spoke plainly about leaving behind the material things synonymous with hip-hop lifestyle to secure the financial future of his family and people in his community, NBC News reported. Hussle represented the Crenshaw District in his music. He opened a clothing store at the intersection of Crenshaw Boulevard and Slauson Avenue. Hussle and his business partner later bought the entire plaza at that intersection, with plans to build a six-story residential building atop commercial stores, Forbes reported. Hussle owned several other businesses in the area, including a Fatburger, a barbershop and a seafood market. He had invested in the 59th Street Elementary School, giving shoes to all of the students and renovating its basketball courts and playground. The 33-year-old rapper, whose real name was Ermias Ashgedom, was shot and killed Sunday outside his apparel store, Marathon Clothing.